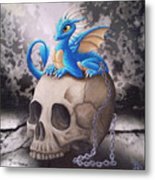 Captive Dragon On An Old Skull is a painting by Mary Hoy which was uploaded on March 4th, 2016. 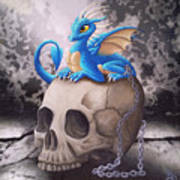 A captive dragon on an old skull. 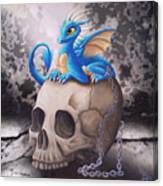 This original mixed media ink and acrylic painting is created on stretched canvas. 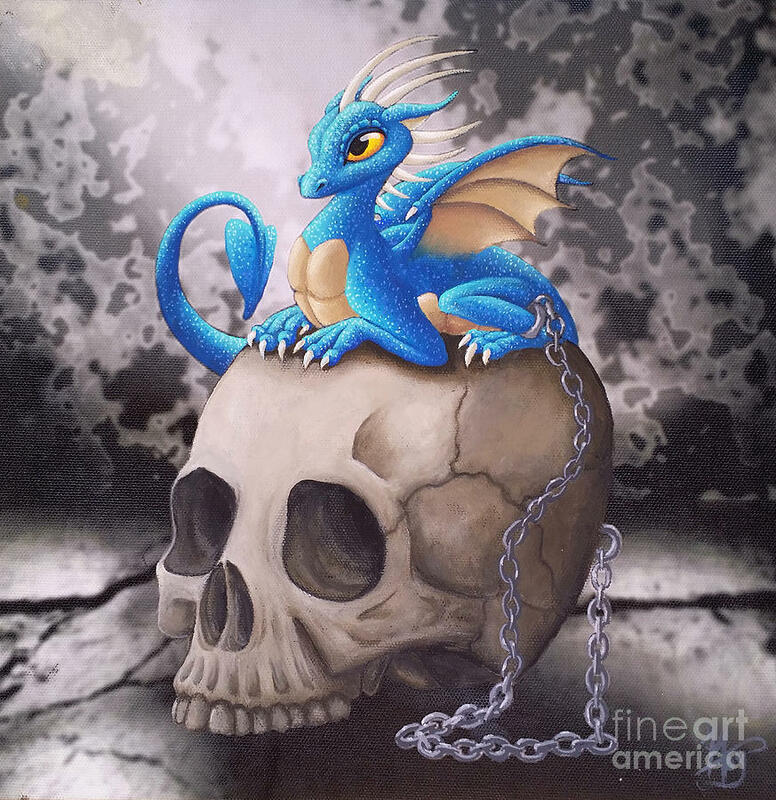 I rendered the background and then ink transfer it to canvas. Once that is completed I sketch the character art with graphite and then paint the subjects with acrylic paint.